Just saw the movie last night and for starters, It is quite safe to say that The Amazing Spider-man 2 deserves a thumbs up. Though not really the best since I believe Sam Raimi's Spider-man 2 can fairly compete with it, The Amazing Spider-man 2 got a lot of things under their sleeves that gave them the advantage. The overall aesthetics of the film is just exquisite. From the swinging animations to the production designs. They are all so beautifully executed. you will feast your eyes on high quality CGI that blends perfectly with real world physics. And those Spider-man moves, the choreographers, the animators and Andrew Garfield himself need a pat on the back for giving us a very spirited Spider-man. And on acting, do I really need to discuss this? Garfield, Dehann, Stone, Foxx, Sally Field! Oh I want to embrace them all. We all know how most actors think superhero movies don't need good acting. I kinda believe on that sometimes but The Amazing Spider-man's ensemble of actors just proved that acting is still the key for a better finished product regardless if it is a Superhero movie or not. My only gripe about the film is that I guess the whole movie just runs too fast. 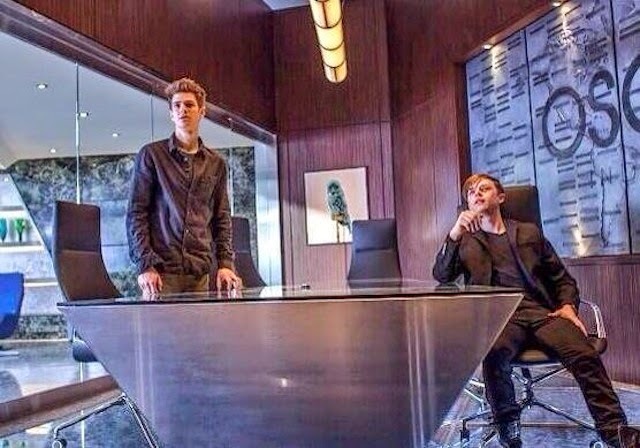 I would have prefer if they gave enough time to build Dane Dehann's Harry Osborn. Well we are still lucky that dane gave us a good performance but it could have helped if they included him at least 1 movie before he becomes [bleep]. I'm also giving a thumbs up to the writer, editors, and marketing officers for successfully hiding the ending to the public. It was an intense ending and I love it!!! Also thanks to people who stopped themselves from revealing it on social media. It is not the best thing I expect for the film but nevertheless it is a good movie all together. Catch The Amazing Spider-man 2, now showing in cinemas near you. From Marvel Entertainment, distributed by Columbia Pictures.